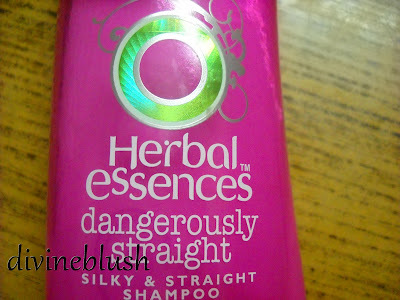 Today am going to review one of my favorite hair care product Herbal Essence Dangerously straight Shampoo. I have already rated this product in my previous post for Straightened hair. Need something to calm down your strands? Smooth things over with the lush formula of Herbal Essences Shampoo Dangerously Straight, that has a fusion of pink lily and Asian silk. This smooth shampoo lays down fly-aways for silky-softness that’s totally touchable. Am using this shampoo for the past five years, earlier it will be in a red bottle which cost 89 INR. In those days we don’t have any online websites or nearby shops to have these shampoos. I have to travel 1 hour from my place to get this shampoo. Now everything is made easy thanks to internet and blog o sphere. 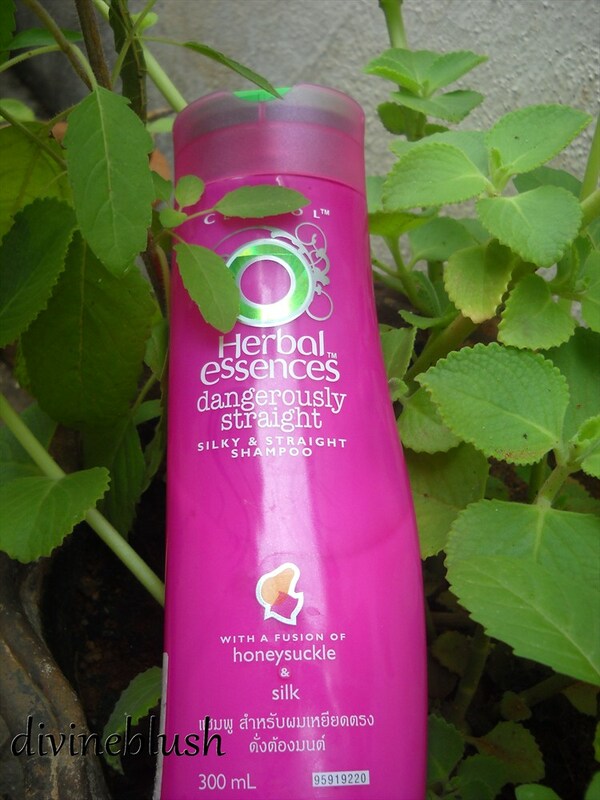 Now they have changed the bottle shape earlier it say “Clairol Herbal & Essence” It looks like this..
First I want to clear something, this shampoo is meant for straightened hair and it is not a product to make your straight. It may leave your hair tangle free. The first thing which made me to feel happy is it doesn’t have any SLS or SLES. 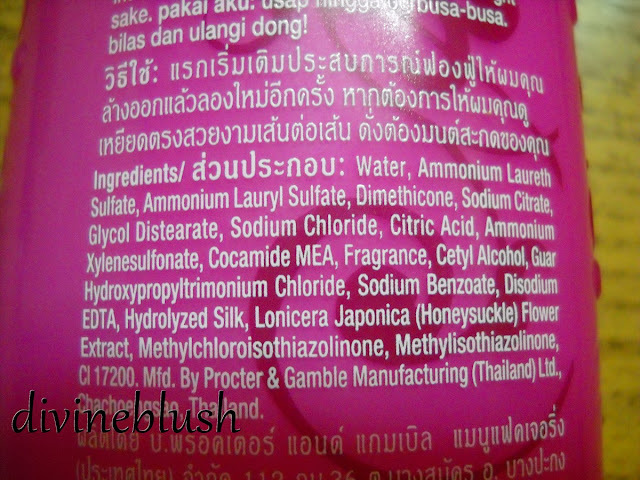 It does have Ammonium Lauryl Sulphate but I think it does make any worse effect than SLS. 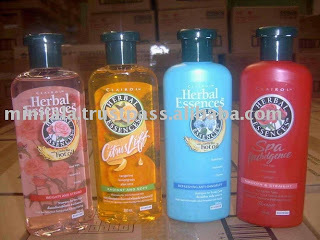 I love the smell f this shampoo it tingles in my hair all the day. It is a pink colour shampoo which is a thin watery based running consistency. My Views about Herbal essence Dangerously Straight Shampoo. I can recommend this Shampoo to any straightened Hair folks without any hesitation. Earlier I was using Matrix opti care shampoo for 3 months which arrested my hair growth; hence I started to use this shampoo again. ***Nice smell, Aroma you will love it. ***It doesn’t lather much, yes it is a very good pro instead my Biotique Soya Protein Shampoo will lather like washing soda - my bad! I hate that shampoo. It is a must for everyone who has chemically treated their hair . OMG! This is the product that I need. I used to have dull and dry hair that I want to revive. I am getting bothered on the way it looks. I hope this is the product that can help me with my problem. from where i can buy this product i live in kolkata city. i just straightened my hair and i want to knw which shampoo i can use to make my hair straight and from where i can buy dat products. i live in kolkata.